From the moment the new animals arrive at the Lion Foundation, everything is aimed at making them feel at home. The animals are allowed plenty of time to adjust to their new surroundings. 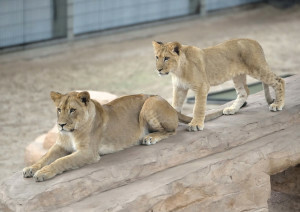 The Lion Foundation’s rescue facility consists of a large training hall, surrounded by indoor and outdoor animal enclosures. Most feline predators are fed separately, which is why each animal needs its own indoor enclosure of about twenty square meters. In the outdoor enclosures the cats live together in small groups or sometimes alone. The measurements of the enclosures depend on the species and the size of the group. Small cats have one hundred square meters, a lone tiger’s home is two hundred square meters and a lion couple enjoys about four hundred square meters. The great hall in the middle of the rescue facility is a sort of playground for the animals. Several times a week they can spend an hour, half a day or an entire day here. In the hall the big cats are exposed to all kinds of new and interesting stimuli, like new toys, scents and materials or hidden food. By enabling the animals to enjoy new experiences every time they enter the training hall, they learn to enjoy going there. The hall is also equipped with a hunting simulator, which prepares the animals for their future life in the wild. It is also a good enrichment to stimulate their natural behavior. 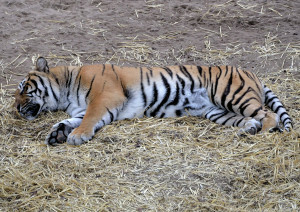 Generally the big cats spend most of their day in the outdoor enclosures. The enclosures feature elevations, grass, sand, a pond, toys and most also have bamboo plants. When temperatures rise in summer, most animals either sleep or take a bath to cool off, just like animals in the wild. In winter the animals tend to spend more time in their indoor enclosures. These have underfloor heating and fresh straw for them to snuggle up in. 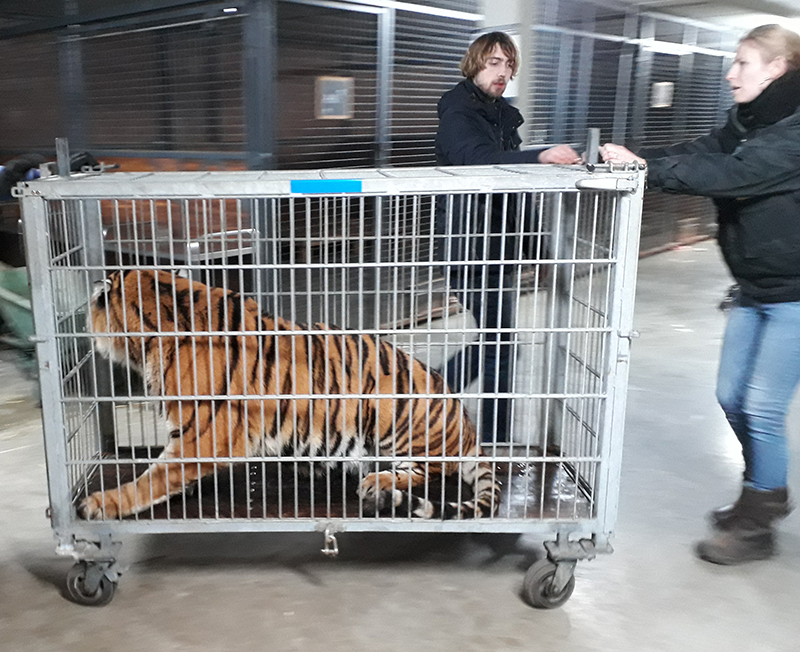 …that keeping one big cat at the Lion Foundation costs about € 1000 a month? Help the big cats, by becoming a donor.